Verizon Professes Love for Android, Not for iPhone – We broke the news on Friday morning that Verizon would be saying “no” to the iPhone 4 and professing its love for Android on Sunday. It was all confirmed. 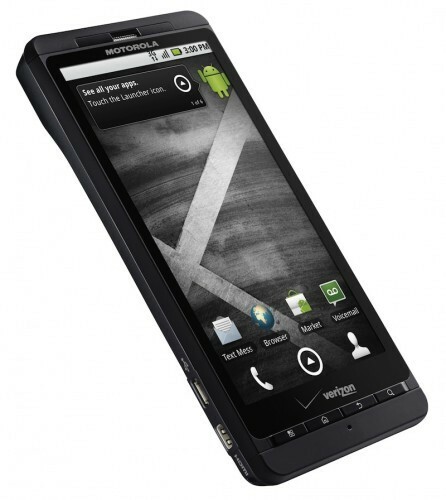 Details on Verizon’s 3G Smartphone Upgrade – Ready to upgrade to the Droid X, Incredible or maybe even Droid 2? Verizon is hooking up 2010 upgradees with an early option. Custom ROM Friday: JRummy FRF83 Froyo – The “from source” ROMs are starting to go live across the interwebs and we went with one of our favorite developers to break the ice. Download: Droid X Live Wallpaper – The creepy watching red eye live wallpaper from the Droid X has been ported over to any Android phone running 2.1 or higher. Download: Droid X Non-live Wallpaper – And for those that experienced slowness with that live version, we also gave you the basic wallpaper style of the creepy red eye. HTC Changing Screens on Incredible? – The Incredible has been a part of all sorts of rumors lately and the newest has it shipping with new Sony LCD screens instead of its original AMOLEDs. Follow the Droid X Scavenger Hunt – The @DroidLanding Twitter account scavenger hunt is in full force. Time to start following along! With the addition of the Droid X to the Droid family last week and another expected in August, things are really ramping up. It feels really good to be a part of what many consider the best lineup of Android devices on the planet. Yay Droid!